The Shark Clip with swivel is available in three different sizes. Heavy duty shark clip ideally suited for rigging applications wich undergo alot of force. 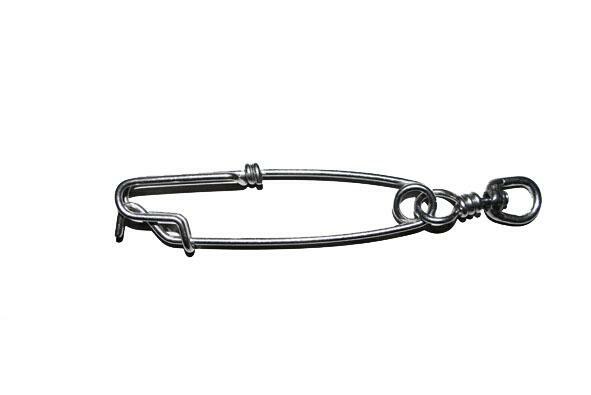 This clip is the most common size clip used for bluewater spearfishing rigging. It can be easily connected to the gun or buoy for speed stringer and float line fastening. Made from the highest quality marine grade stainless steel the clip's industrial strength design ensures secure high strength line fastening. The clip can easily be secured and released with a single action.